I had the opportunity to speak with Sheila Makindara, Country Director of our partner Childreach Tanzania, a locally registered charity based in Moshi, Kilimanjaro region. We talked about Sheila’s personal experiences of primary and secondary school in Moshi, with particular attention to her recollection of the Water, Sanitation and Hygiene (WASH) conditions at both schools. Sheila also shared with me the path which led her to her current role at Childreach, and what her day-to-day role entails. I thoroughly enjoyed learning more from our partner about our two-year Trust and Foundation funded Fit for School project, which African Initiatives launched in collaboration with Childreach Tanzania in June 2018. I hope you enjoy reading my latest partner blog and stay tuned for the next instalment on our long-standing partner Community Research and Development Services (CORDS), coming in April! 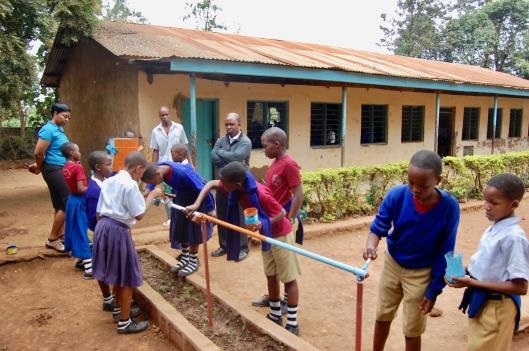 Following joining Childreach in 2010, Sheila has since returned to her childhood primary school to install a tap and storage tank so that the schoolchildren now have access to fresh, running water. 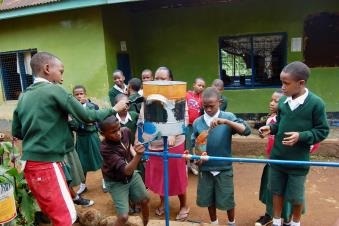 In fact, with the help of a team of dedicated volunteers, partners and supporters, Childreach has helped over one hundred schools in the Kilimanjaro, Arusha and Manyara regions to provide clean water and improve sanitation conditions to its students and teachers, among other projects implemented by the organisation. I wanted to know more, from Sheila’s first-hand experience, about the challenges primary school girls face dealing with menstruation when the WASH facilities are poor. After attending high school for two years, Sheila progressed to Mzumbe University to study a Bachelor’s degree in Business Administration. After graduating, she moved to Dar es Salaam and worked in different administration roles for various companies, including Columbia University’s International Center for AIDS Care and Treatment Programs. In 2007, she made the decision to enrol on a Master of Business Administration course on Human Resources Management at the University of Dar es Salaam. 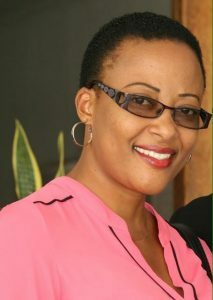 Following the completion of her MBA, Sheila returned to her home town Moshi and got married. Ten months later she got her first role as Operations Manager at Childreach Tanzania; she was subsequently promoted to Operations Director, and shortly after, began her position as Country Director. “There are so many elements to being a Country Director!” Sheila exclaimed when I enquired about her day-to-day duties at Childreach Tanzania. Improve knowledge among pupils and teachers of the importance of hand washing. Improve schools’ access to clean water. Incorporate learning about menstrual hygiene into primary education. Engage parents, education and health officials so that the lessons learned can be adapted and implemented by other schools in northern Tanzania. Lack of handwashing causes stomach upset and consequently, absence from school. The root cause of this is hygiene. 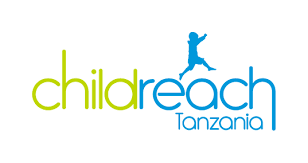 Childreach Tanzania promotes seven steps of handwashing: wet hands and apply soap; rub hands together; rub the back of each hand; rub both hands while interlocking fingers; rub the back of fingers; rub finger tips; rub thumbs and ends of wrists. Children in our project schools are encouraged to progress through these steps while singing a one-minute song together. Schools do not provide assistance with menstrual hygiene and so Fit for School has a menstrual health management component to it. There is a designated room for girls in the toilets which offers clean water, a sanitary bin and emergency sanitary pads. Partner blog written by Holly Burchett, Fundraising & Communications Officer.